David Sancious seems to be one of those musicians that you’ve heard of, but perhaps not explored in any great depth. His early career saw him as the keyboard player for Bruce Springsteen’s E Street Band and he appeared on the first three albums – Greetings From Asbury Park, N.J. (73), The Wild, The Innocent & The E Street Shuffle (73) and the breakthrough release Born To Run (75). He would also return to record with Mr Springsteen again in 1992. A much in demand session player he has worked live and or recorded with Jack Bruce, Santana, Eric Clapton, Jeff Beck, Stanley Clarke, Zucchero, Peter Gabriel, Sting, Jon Anderson, Francis Dunnery – and the list goes on and on. He released a number of solo albums and in the mid 70s including a series of albums with Tone, the first two albums coming under review in this article. How the heck did I miss these two albums when they were first released? In mitigation I was still at college at this time and finances were tight, along with this was the wealth of other great material being available, but more likely the greater factor, they were more frequently in the periodical music press than David Sancious. So going back to my opening remark I must fall into this category, although I do have many recordings with David Sancious appearing on – the first being Stanley Clarke’s School Days, his name also cropped up on Jon Anderson’s Animation (82) and subsequent late 80’s early 90’s Peter Gabriel albums, Sting’s The Soul Cages (91) and Ten Summoner’s Tales (93). But as for his solo work I managed to miss virtually all his releases barring the impressive Just As I Thought released in 1979. So Esoteric Recordings have come up trumps here and in many ways. 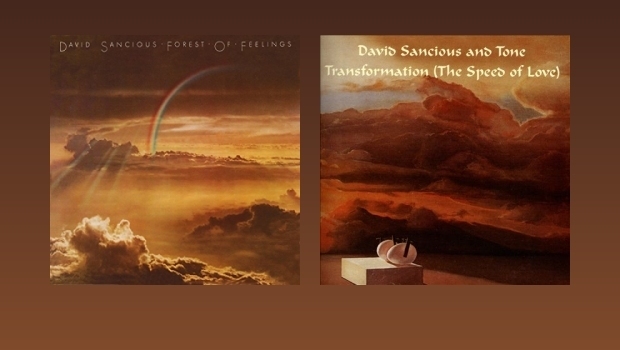 What immediately struck me when listening to Forest Of Feelings was how fresh the music was, blending elements of progressive rock, classical, jazz/rock and fusion in a dynamic tour de force of engaging instrumentals, and all achieved by just three musicians. Not uncommon I hear you say, however what sets these albums aside is David Sancious’ craftsmanship on both keyboards and guitar and no better displayed than in the wonderful opening tune, Suite Cassandra. A hugely melodic piece with great piano along with sweeping Moogs and all superbly underpinned by the stunning rhythm section of Ernest Carter and Gerald Carboy. A fantastic opening statement indeed! Equally impressive is the funky fusion workout, Come On If You Feel Up To It… (And Get Down), with some fantastic guitar from Sancious, lashings of Hammond organ and again that rhythm section! Whereas the tranquil East India, as the title implies, takes to the far East with the oriental motifs setting the scene wonderfully. As the two part Dixie suite kicks in with the March Of The Conditioned Souls we are treated to a barrage of atmospheric keyboards creating a thunderous wall of sound whilst mutating the Dixie (I Wish I Was In Dixie) tune – a stroke of genius. With a brief jazz piano interlude the track twists a writhes its way until a rapidly increasing tempo takes us into a sea of electronic sounds and effects – presumably Civil War Of The Souls. The title track will I feel will resonate equally with fans of fusion pioneers Return To Forever as much as it might with those who enjoy the music of Emerson Lake & Palmer. And I suppose the appeal of the album, for me, is that cross genre hopping which offers that different slant, bringing fusion and prog, rock and jazz together. This is truly wonderful piece of music and worth the price of the admission on its own. The bonus track, Promise Of Light, is a solo piece for piano and in some respects similar to Joyce #8, albeit without any of the jazz ornamentations. With only a few months between recordings for the first two albums, stylistically there’s little in the way of change, however compositionally David Sancious has raised the bar once again on Transformation. One of the striking features is the freedom of expression within the tracks, although album opener Piktor’s Metamorphosis would have sat very comfortably on The Forest Of Feelings. A track of great dynamics from the opening and closing Fender Rhodes and wordless vocals, to the incendiary guitar and keyboard interplay that cut across the repeated quiter moments. There’s also a great live feel to the music leaving room for a fairly lengthy Moog solo section that is taken ‘down’ and marvellously crafted by Ernest Carter and Gerald Carboy. Sky Church Hymn #9 is however a departure from what has gone before on either release, kicking of with traditional slide guitar based 12 bar blues, which is repeated towards the end of the piece and so serves as solid bookend. The lengthy middle section picks up the the pace, circa two and half minutes in and from here on the band just cut loose bringing to mind several notable power trios of the era. The liner notes reference Jimi Hendrix, but for me the middle section leans more towards Cream and certainly the rhythm section of Jack Bruce and Ginger Baker. Gerald Carboy plays some nifty bass throughout, however in this track his role is more of anchoring one and it is Ernest Carter who steals the show. Nicely contrasting Sky Church Hymn #9 is the predominently acoustic The Play And Display Of The Heart which certainly on the guitar side brings the mighty John McLaughlin to mind. A slight Eastern tinge and crystal clear guitar runs sit wonderfully with the piano. Both instruments dance and intertwine from start to finish in this focussed and strongly melodic piece. At just over eighteen minutes the final track would have taken the entire B side of the album. As with all the tracks on the album there’s a bookending approach to the music and here on Transformation it takes of the form of a rather disturbing and dissonant medely of effected sounds – bringing to mind something from the early Ennio Morricone pen. The main riff jumps in after the first minute or so – and wow – love it. It lays foundation to an impressive progressive instrumental workout that rivals, if not surpasses, those greats of the early progressive movement in its themic qualities, instrumental prowess and controlled complexity. Throughout you can sense bands like Yes, King Crimson, ELP and to a lesser extent Genesis, in full flight and at their peak. Again and as throughout, it is that spontaneous live feel that makes the music sound so fresh and invigorating – and the rhythm section are truly in empathy and act as the perfect foil for the bombast of David Sancious keyboards and guitar. So there we have it, two fantastic re-mastered and reissued albums. Quite often the re-releases from Esoteric Recordings offer the chance to get hold of a copy of an album that has been out of print, or more commonly remastered and reissued versions of albums that already languish in the collection in some format or another. I’m pleased therefore that these two offerings from David Sancious’ Tone came out of the blue and were a pleasant and welcome addition. As mentioned and referenced within this review these albums are as likely to appeal to followers of prog, jazz rock and fusion listeners alike. So I heartily recommended you check out these releases – soon!